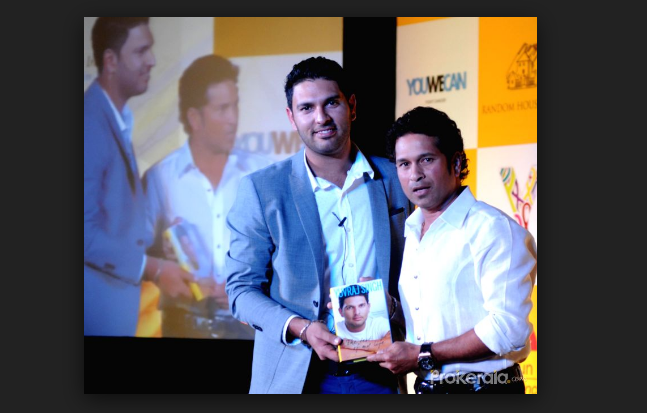 Yuvraj Singh’s book ‘The Test of My Life’ has been summed up accurately by ‘Master Blaster’ Sachin Tendulkar in two words – ‘Pure Inspiration.’ I can’t think of a better word for this book. 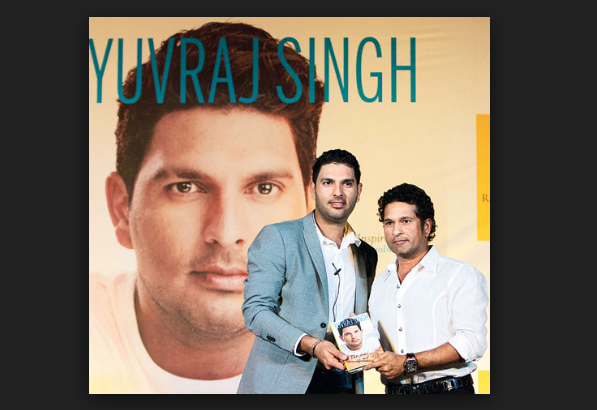 Yuvraj Singh’s ‘The Test of My Life’ takes us through a tumultuous, personal account of Yuvraj’s life as a cricketer and cancer survivor. The best and most interesting part is where Yuvraj talks about his ‘deal with God.’ He told God something on the lines of ‘Take my life but give us the World Cup’ and it almost became true in his life, according to Yuvraj. It takes guts to write like this. Yuvraj Singh has that gutsy bone in him. And every page of this book proves it. In Yuvraj’s book, he constantly refers to one important fact – he had ignored the warning signs till it was almost too late to save him. He kept putting off his health check ups, not taking the early signs seriously and not doing anything about it. He was finding it difficult to eat food without throwing up, he had serious breathing difficulties and so on. When he coughed badly and later saw blood in the basin, he thought he probably had bronchitis. Cancer never crossed his mind. Instead Yuvraj Singh continued to think on about the ‘Next game – let it get over’ instead of opting for a comprehensive medical check up. This is something we are all familiar with because we too do the same. We postpone health check ups till the warning signs are no longer there. Many months of denial finally caught up with Yuvraj – he had to confront the truth and it wasn’t easy for a fitness freak like him. Yet he makes an important point even in the midst of such pain – every clinic, lab and hospital including their staff kept their promise of absolute confidentiality. He specifically appreciated this in the book with gratitude. I liked that about Yuvraj Singh. Next where he described the FNAC test, I found myself crying. If you don’t feel the sheer agony and pain that threads his words, you should check this with a cancer patient. They would enlighten you and you can send a prayer of thanks to the Universe that you didn’t have to undergo anything like this. But I must stop now and resume Yuvraj Singh’s story in Part 2. If possible, you should set aside some time to read this book. It's such a heart touching journey into a fine young cricketer's perspective on tackling life's tough challenges, health and healing. Stay happy, healthy and blessed. Touched with your description. I thought of getting that book earlier but neglected. But now after your review, looking forward to get it soon. @Harimohan: Thanks Hari uncle. You are right. Anything that is done with honesty turns out best. I hope you read the book some time when your schedule permits. It's very inspiring. yes looking forward to read it .. Him having the courage and the will power to make a comeback is what makes his story truly inspiring. Wow. Your review makes me like Yuvi more. @Rohit: Well said and I agree with you. A wonderful writeup here, Swapna, and this seems like an extremely vulnerable, honest and authentic sharing of a person's life and journey. No matter how good or committed a person is to their profession or life, sometimes there are things that we have absolute no control over. We can be in denial about it, but it exists and we have to deal with it - our vulnerabilities and our weaknesses will confront everyone of us. You've inspired me to check out the book as well. Am certain that you will enjoy reading this book. I just want to see you in India Test Squad as You are second one I love to see you on my TV Screen after Sachin Tendulkar. @Neha - Read this book and you will be truly inspired by this hero! Cheers! For all cricket fans try out fantasy cricket league. It is a unique and innovative platform that enables users to showcase their cricket knowledge and skill to win cash daily in their fantasy leagues.